Adam has an extraordinary talent for photography - his images speak for themselves. They are captivating examples of the art of photography. 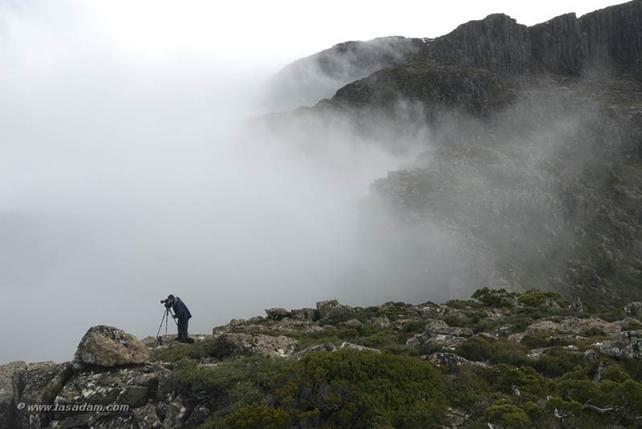 He has experience in a range of photographic fields but his real gifts are revealed in conjunction with another passion, bushwalking in the Tasmanian wilderness. “My aim is to capture, share and focus attention on the beauty of the natural world as I see it. Utilising my own skill, professional cameras and lenses and a solid tripod, I strive to achieve the most detailed and high-quality images possible. Post-processing is kept to the minimum required to allow the viewer of my work to stand where I stood, to share the uniqueness of the captured moment. My goal is to achieve the highest possible standards in all respects. To this end my photographs are printed by respected, professional printing businesses and, in framing the images myself, I make the choice to extend to their presentation the same care and attention to detail I show in my approach to photography.